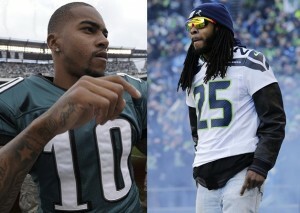 his two cents on DeSean Jackson recent release from the Philadelphia Eagles due to alleged gang ties. double standard conduct toward Jackson and the treatment of Riley Cooper. at the end of the year rewarded him with a contract. Richard Sherman took notice.